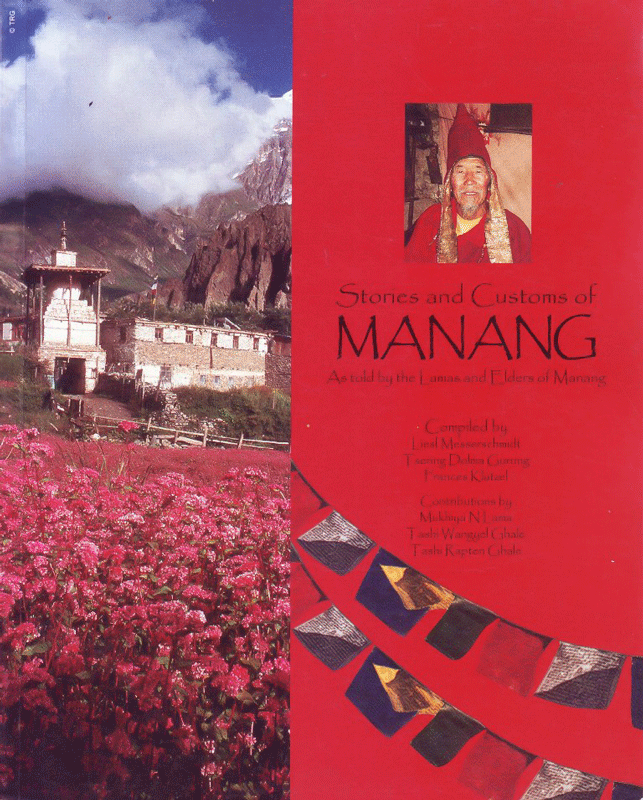 This book is a compilation of information collected by several people interested in the culture of Manang. The book introduces you to the rich cultural history, dynamic geography and melodic languages of the Manang Valley. The book evoke the deeper understanding and appreciation for the adventurous and spiritual Manangpa people, the age-old fortress ruins, the Buddhist Gompas (temples) and Monasteries, the Lamas (priests) and monks, hand-crafted spiritual artefacts and colorful festivals.